Lou Loves Beauty: Banish the Winter blues. Everybody has had that one product they cannot live without, whether it be lipstick, Mascara, hand cream or anything else. Well mine HAS to be fake tan!! 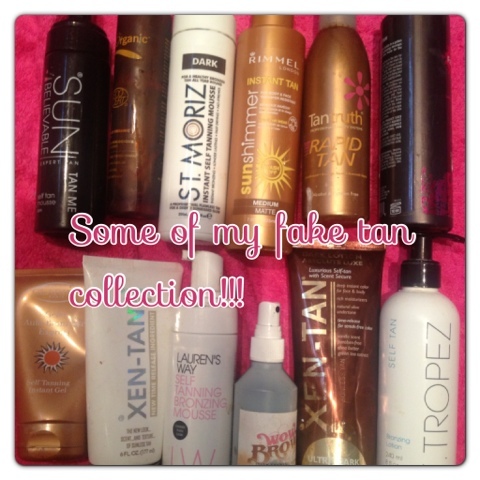 It doesn't matter how I do my make up or what clothes i wear if I'm not wearing fake tan I just never feel right! Over the years I have tried loads and built up quite a collection in the process. Some people are a little afraid of fake tan and the image of streaky bacon haunts them, but fear not, there is a tan for everyone! Whether you use it for special occasions or just to get you out of the paleness that winter brings. 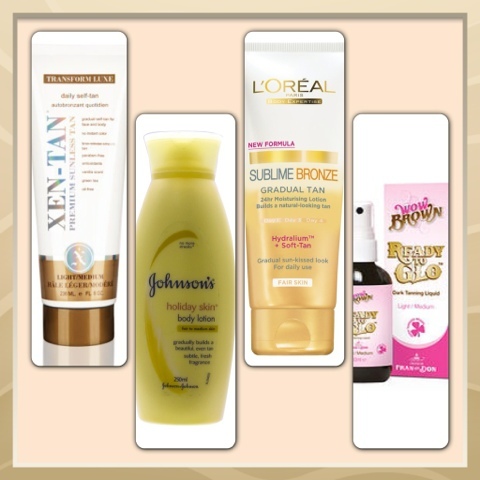 So here are a few products ive used to help you decide which tan is the best for you. Pale skin/ natural glow/winter skin. As with all tanning products I would recommend exfoliating once a week to get rid of any dry skin and to remove any traces of the old tan that you have applied. Even with these light tanners be careful on knees elbows and eyebrows. Apply a small amount of moisturiser on these areas prior to tanning. I always find the best time to apply is a night and shower in the morning, this is not essential with the gradual tanners but I find that sometimes they leave a slight stain on light clothing.